We have already talked about Vitara Brezza, the upcoming compact SUV from Maruti Suzuki which is expected to be showcased at Auto Expo 2016. 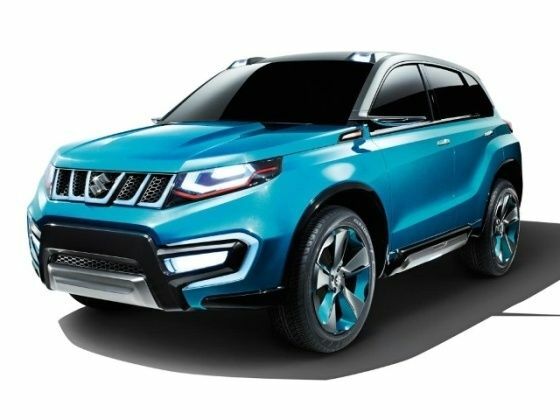 Now, Maruti Suzuki itself has made it official that their upcoming compact SUV is going to be the much expected Brezza. Maruti is going to make an official announcement followed by global unveil of Vitara Brezza at Delhi Auto Expo in early February. The word Brezza in Italian language means ‘fresh breeze’. The stylish Maruti Vitara Brezza is targeted at urban consumers. Vitara’s exterior has the essence of an SUV ( Sports Utility Vehicle) plus the dynamism which you see in any urban vehicle. There are few unique exterior design schemes that make Brezza very distinct. Balanced proportion supported by square wheel arches, short overhangs, high ground clearance and upright hood gives the vehicle a confident stance. The raising belt and rocker lines, and the roofline that slopes down gently towards the rear give the vehicle a dynamic posture. The body surfaces of new Vitara Brezza are natural and sculpted tastefully to create the right interplay of highlight and shadow. Instantly recognizable floating roof over the wraparound greenhouse adds to the visual drama, and makes the Brezza standout in the crowd. The all new Vitara Brezza is based on Maruti Swift platform which is inspired form XA Alpha concept which was first showcased at the Auto Expo 2012 by the company. The design language of Maruti Vitara Brezza follows that of the new Suzuki Vitara. Talking about the specifications of Maruti Vitara Brezza – the car would come with a 1.3-litre diesel engine which is same as that of Maruti Ciaz and Maruti Ertiga. Brezza’s 1.3-litre engine is sourced from Fiat that produces 90bhp of power and will be likely getting SHVS (hybrid) technology, same as that of Maruti Ciaz and Ertiga. The Vitara Brezza wil be launched in early 2016. The compact SUV, Vitara Brezza is going to take on its existing cars in this segment like Ford EcoSport and Mahindra TUV300.